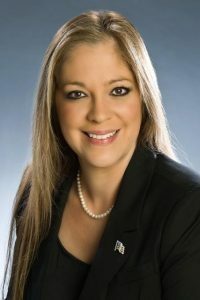 TALLAHASSEE- On November 30, 2017 the Investigative Panel filed formal charges against Broward County Judge Claudia Robinson alleging that she inappropriately directed mediation cases to an attorney that assisted her in her campaign. The Panel reached an agreement with Judge Robinson that she should receive a public reprimand, be suspended from office for 30 days without pay, and pay the Commission’s costs. Subsequently, the JQC withdrew from the agreement and the case was voluntarily dismissed by the Commission after Judge Robinson resigned from office. The documents related to this matter can be found here. Photo Credit: 17th Judicial Circuit.